This is the new line of blackout custom patches that we have so far! We have discovered a new thread color that works perfectly for blackout patches - charcoal colored thread. It is still black thread, but it is a shade or two lighter than solid black, so it is still blacked out, but just enough so that you can read and see the design on the patch. It is hard to describe the exact color, but maybe a very dark grey would be the best description. Photographing the patches posed a bit of a difficulty: the flash was too bright and made the thread closer to a silver, and darker made the patches unreadable for photographs - so we settled for this one - the thread does look lighter with the flash, but it is as close as we can get to the real patch. 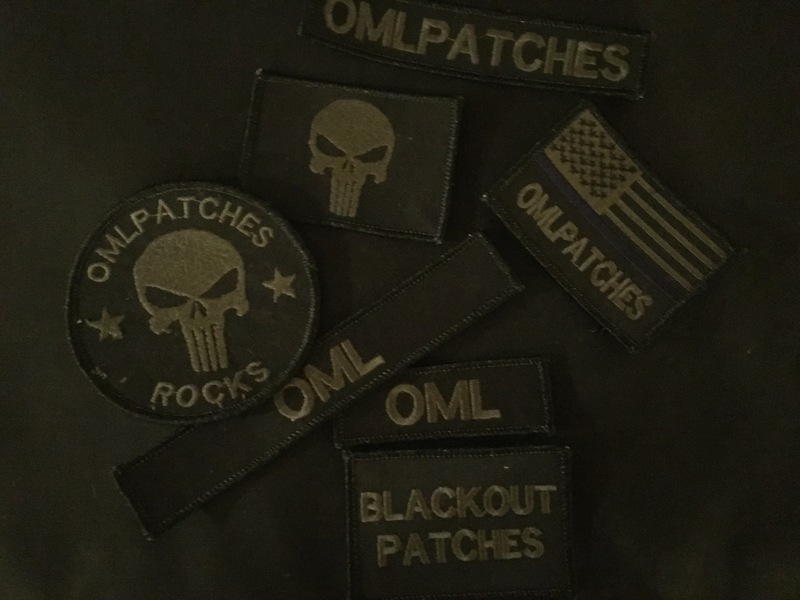 Stay blacked out, but make sure the patch is still readable with our awesome new blackout patches. Add your own lettering to this patch and make your own awesome blackout patch.